Flush out terrorists: Kaleem Kawaja. 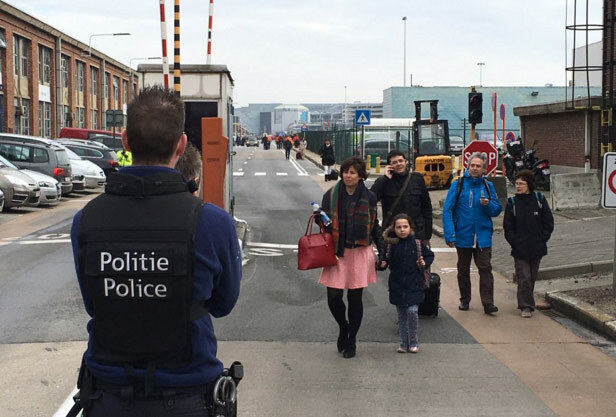 The Association of Indian Muslims of America, an NGO of Indian Muslims who live in North America, has expressed its outrage and shock at the ISIS terrorist attack today on civilians at the airport and a metro station in Brussels, Belgium. More than 30 people were killed and 200 were injured in ghastly bomb blasts. Kaleem Kawaja, the Executive Director of the association appealed from Washington, DC, to governments in various western countries to enforce stringent security measures in public places to flush out suspected terrorists, in a press release. He also appealed to all mosques, Islamic Centers and Islamic organizations in these countries to report to the local police any suspicious and radicalized individuals in their Muslim communities to the police. He appealed to all Muslims to cooperate with police and the authorities in enforcing strict security. Kawaja also appealed to Muslims to donate blood in hospitals in their cities that can be shipped to Brussels to help the victims who are injured and are in hospitals there. Kawaja appealed to Muslim organizations throughout North America to issue statements condemning the Brussels attack and expressing solidarity with government authorities.